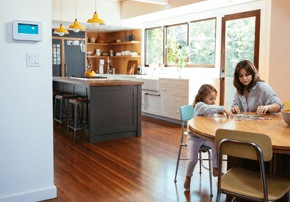 Whether you live in Lakeview or River Oaks, you’ll be the talk of the neighborhood when you outfit your home with Vivint’s sleek array of industry-leading home automation equipment, such as the Vivint SkyControl Panel, Vivint Sky™ app, and Amazon® Echo. Imagine it’s a scorching Bakersfield summer day, and you want to cool down the house before you come home from an afternoon of errands. With the Vivint Sky™ app, you can activate your air conditioning from your smartphone while you’re in line at the grocery store. Or, use the centralized SkyControl Panel to turn on a few lamps to greet out-of-town guests with warmth and hospitality. Want one of the most popular Vivint products in Bakersfield? The verdict is in—Amazon Echo is among the top home automation picks for Bakersfield residents. Amazon Echo’s “Alexa®” allows you to control all connected Vivint home automation devices with just your voice. That means that whether you want to turn up the thermostat or lock the front door, Alexa does what you ask of her—all hands free. Call today at 1-844-255-9493 to get started with Vivint. SkyControl Panel: Acts as a centralized hub, connecting to all your smart home devices. Vivint Sky™ App: Manage your home automation features remotely on your mobile device. Element™ Thermostat: Monitors your daily habits and adjusts to your lifestyle. Fully integrate home automation equipment: Nest Thermostat, Element Thermostat, Amazon Echo, Doorbell Camera, Automated Door Lock, and more. What Are My Security Options in Bakersfield? Vivint proudly offers a wide range of quality security equipment in Bakersfield, with some of the most popular products including the glass break sensor, outdoor camera, doorbell camera, and keyless doorlock. On top of that, every Vivint security system comes standard with 24/7 home monitoring by trained Vivint agents to make sure your home always has a watchful eye. 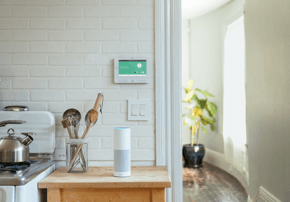 Home security features like these combined with user-friendly home automation features like Vivint Sky™ mean your home will be both secure and streamlined. Plus, Vivint makes it easy to start using your security system right away—no matter your budget. 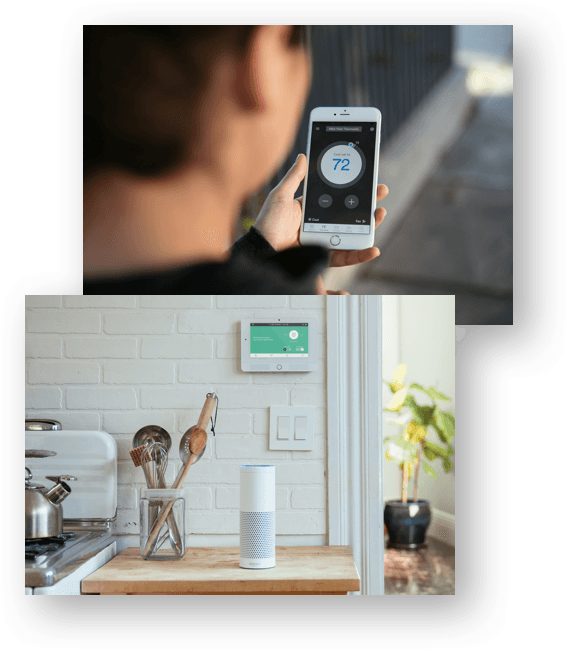 In fact, you can even get a complete smart home system for under $2 a day from the #1 smart home services provider in the U.S. Vivint Flex Pay gives you the ability to either pay for your equipment over 42 or 60 months for 0% APR, or pay for your equipment upfront for a no-contract price. To build your own security system and see your unique costs in real time, check out our Flex Pay Pricing Tool. Since Bakersfield experienced 15,735 property crimes in 2015, according to the FBI, it’s a wise move to equip your home with a trustworthy security system. With Vivint, you’ll get just that. All Vivint home security systems come equipped with 24/7 monitoring by trained Vivint professionals, who are on call to assist you and your loved ones in the event of an emergency. Smoke and carbon monoxide detectors help keep your family safe from natural threats, and indoor/outdoor cameras help you keep an eye on what matters most to you. Once you’ve decided on the home security features best suited for your Bakersfield home, it’s time to set up your new system! Vivint offers a free quote, free professional installation,* and $0 activation. A Vivint expert will ensure your system is set up correctly and hassle free, so you can enjoy your services as soon as possible. Once it’s installed, be sure to register your alarm with the City of Bakersfield. Bakersfield law requires an alarm permit to help prevent false alarms. How Much Will My Vivint Security System Cost? For a personalized breakdown of your Vivint security cost, fill out the form and a Vivint expert will give you a call. You’ll learn about Bakersfield’s limited-time offers and the Vivint specials that fit your household. Or, call us now at 1-844-255-9493.